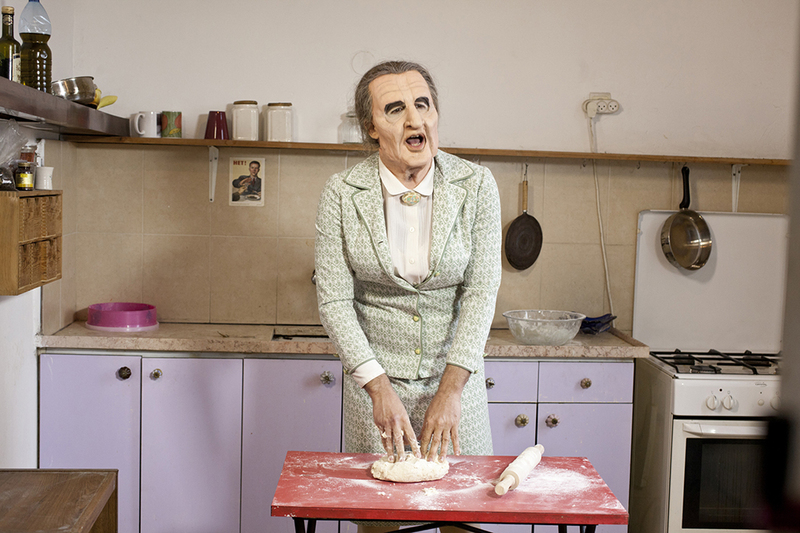 In this video we see the artist dressed up as Golda Meir, The only female prime minister of Israel who was nominated in 1969. The Kitchen is a term used in Israeli politics to describe the collection of senior officials, as a narrow forum of 'Inner Security" group which decides on top secret security issues. Standing in the small kitchen while baking a cake she gives a speech about the relationship between Israel and Arab states. The text is based on a speech she gave in 1969 called "peace among equals". The dissonance between the feminine act and the aggressive speech creates disturbing moments in the kitchen.